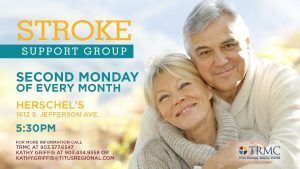 Join us for our Stroke Support Group! Every Second Monday of the month at Herschel's Restaurant in Mt. Pleasant - 5:30om.